These are the experts who will make your multisport adventure the finest possible experience. They are able to provide packages for the person who wants to do everything or for the person who can't decide what they want to do! 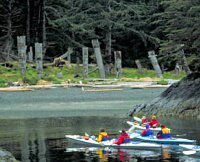 Canadian Outback Adventure Company - Wilderness Whitewater or Rafting for Families an hour from Vancouver and Whistler in Squamish, Canada's Outdoor Recreation Capital. Our mild "Rafting for Families" trip (age 5+) has splashes, smiles, and amazing scenery. Looking for big rapids, cliff jumping and stunning views? 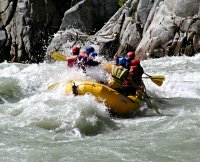 Our wild "Wilderness Whitewater" trip on the Elaho and Squamish rivers is perfect for the first-timers and more experienced rafters (13+). 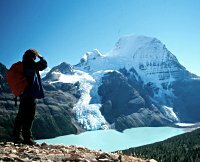 The Lodge at Chilko Lake - Visit this jewel on the north end of Chilko Lake set amongst the breath-taking Coast Mountain Range and Tsylos Provincial Park. 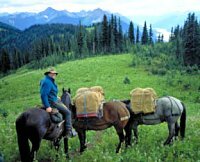 We offer many outdoor / indoor / multi-sport adventures, and a luxurious stay in this truly healing blend of wilderness and comfort.